Indian smartphone maker Micromax has launched its bundled phone “Bharat 1”. This is a 4G feature phone that supports VoLTE. 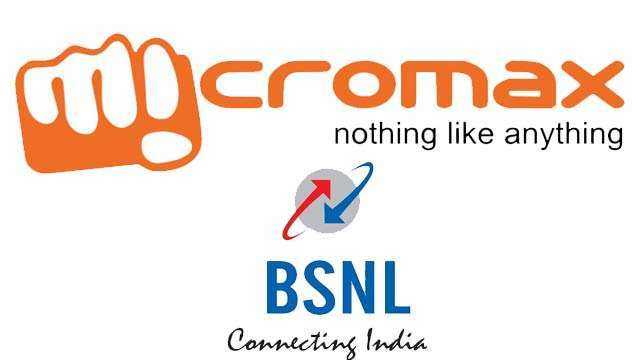 For this, Micromax has partnered with BSNL, the telecom company of the government sector. BSNL is offering many bundle offers with this phone. BSNL and Micromax have named Bharat 1 branding ” Desh ka 4Gfone ” . The price of Bharat 1 is Rs 2,200. It will be purchased from all authorized retail stores from October 20. This phone will give a tough competition to Reliance Jio’s 4G feature phone Jiophone and Airtel’s new 4G phone, the country’s largest telecom company. Here’s how Bharat 1 differs from Jio Phone. No return policy has been given to buy Bharat 1. Once the phone is bought, it will be completely user. They have no need to return it. Any SIM can be used in this phone. Only Jio SIM can be used in Jio phone. Where, to buy Jio Phone, users will be given a refundable amount of Rs 1500, which will be refunded after 3 years. At the same time, to buy the Airtel Karbonn A40 smartphone, it will cost Rs 2,899. In this, after three years, we will not get the full amount but Rs 1500. But in this way users will not have to return their device like live phone. Users will have to recharg Rs 6000 in three years. BSNL Bharat 1 can be purchased for Rs.2200. With this phone, ‘ BSNL ‘ is offering 97 rupees plan, in which unlimited calling and data will be given to the users. It will be valid for 28 days. On the other hand, Jio offered a plan of Rs 153, under which calls, messages and data are being given free. Along with this, the company is offering bundle with the Karbonn A40 smartphone if it is talked of Airtel. Under this, unlimited local and STD voice calls are being given with a limit of 250 minutes per day.